Constantly seeking for ways to appease their customers and daily consumers, Google really has come up with several mind blowing yet realistic Google new inventions 2017. From the presence of self-driving bikes, google sunglasses and smart glasses, express item delivery and drones no doubt Google new Inventions 2017 has really extended their known impact on the entire human race at large. Also with Facebook Building its own Smartphone, no doubt, Google has moved into action with immediate effect. Always seeking ways to appease their customers and daily consumers, Google really is much more than the google contact lens, Search Engine and Gmail email service they are widely known for. Let me guess, you are reading this post because of the title. I’m willing to bet you are pretty going to get amazed at some pretty weird Google projects you never even knew about. No one cares about the inventions and its probable implications provided it’s appealing to the human race. 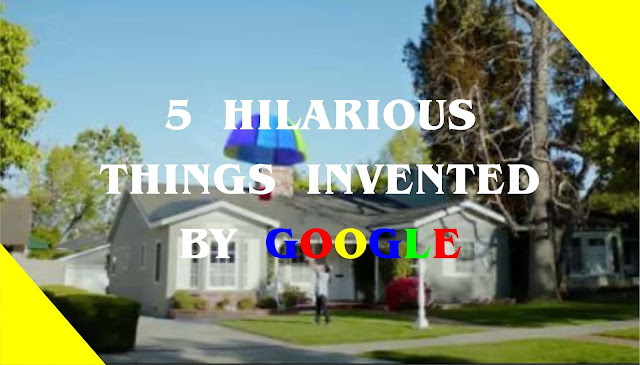 Are there any weird or hilarious Google new inventions that didn’t quite capture worldwide interest or better still made us look pretty useless in life? Sure many of them. You can check out this 2016 post by Systweak on Probable Google Web Revolutionary Inventions. This became a major revolution in the cause of the well-known biking system, especially in Dutch nations. Having been made available in April, Google experts sense the need to apply the self-driving technology to bikes just like in cars. Sounds like Google read our post on what Technology will do for us in the next decade and has quickly lunged into action. With the imminent integration of this feature in a four-wheeled vehicle, Google has quite gone ahead to create the feature on a bicycle. First, you can request the bike to pick you up anywhere you are with a special design Google Bike app for it. Next, development of the comfort mode where the pedals are been adjusted to a perfect resting position. Talk about the self-driving bike boosting the Economy with some added working time allocations, on bike tops. Actually the biggest invention since the invention of the bicycle itself, amazing! A new Android application developed through Google’s translation system dubbed – Translate for animals. Firstly, this android application is not just a mere translation system but translates animal speech into human vernacular. The voice recognition software now checks itself against the millions of sounds in Google’s animal linguistic database and then produces a translation in plain English. No doubt Google has revolutionized technology in our entire human daily living, but the issue of Google quest into the health department leaves one wondering if they actually are a single brand to reckon with. The bar actually contains feedback from the body determining which nutrients are needed and target delivery to the specific organs that need those nutrients. Google has certainly revolutionized preventative healthcare. For more information on how to get your own personal supply of Google fibre perhaps in Nigeria, visit www. google.com/fiber. Another absurd of Google new inventions by the Google fibre team and tesla scientists but internet related this time around and quite helpful at that. Known for their quest to bring about fast internet connectivity, yet the reverse is just the case with the release of the dial-up mode. Dial-up is another adventurous quest by Google to gave their users more time to do the little things in life like; prepare a cup of coffee, grab a snack or run to the restroom by just employing the power of slowness – sounds quite NEGATIVE. This feature was made possible by getting to the root of the problem which turns out to be possible by incorporating the dial-up technology into the fibre thereby slowing down the photons by a maximum 376 times giving you more time to perform your miscellaneous activities. Switching to the dial-up mode is easy, just select it at the top right corner of your browser. When enabled on a browser, it gives you a variety of features like pixellating/blur) you webcam camera and sound perhaps leading to rescheduling of that meeting of yours. Google Express has always been about delivering people the things they need and request for, but the immediate invention of the Parachute technology might just have changed the entire way people view it. Just like the Facebook new free Wifi feature. Having considered drones to be the only way to facilitate Air delivery, Google might just have broken that barrier with people now having access to their orders and needs and tracking the delivery virtually from any location possible. Think of making a purchase and having concerns over the delivery process or the time it would take? Google Parachute technology might just have changed all that considering the fact that they work best in the open space. How are the parachutes gotten into the air to make deliveries? Simply, with the use of DRONES. Visit www.google.com/express for more information. BONUS: Get $15 off your first purchase with the coupon code PARACHUTE. So, those where the few weird invention by Google, no doubt they might also have another *google eyes* or future technology (future invention ideas) running through their head to again and with the resurgence of Apple and their inventions. Who knows? Hit the comment section and tell us how you feel about these inventions. Want more? Check out the Video Below!